Apparently some things aren't too good to be true. AMD’s Ryzen is out to prove that some things aren't too good to be true. At least that’s what the latest round of benchmarks released from the company appear to prove. At this point, the numbers indicate the underdog company’s new chip will be every bit as impressive as the hype says it is. At a briefing on Tuesday ahead of its Wednesday launch, AMD again showed how its Ryzen chip matches or outperforms Intel’s best and brightest, this time in the popular Maxon CineBench benchmark. 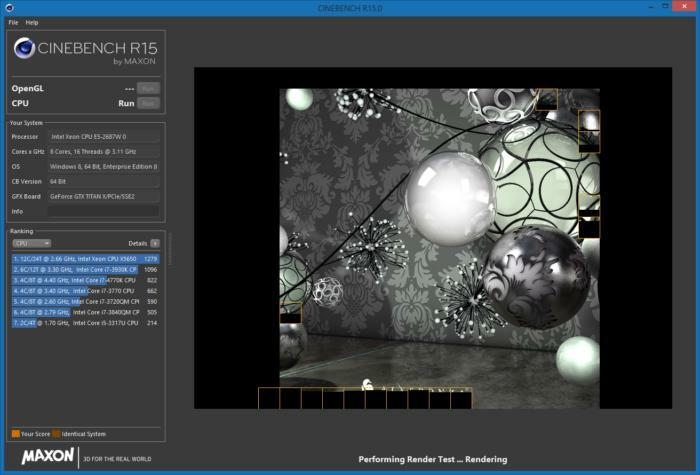 CineBench measures a CPU’s ability to render a 3D scene, loves multi-threading, and is generally well-respected as a valid way to measure pure CPU performance. 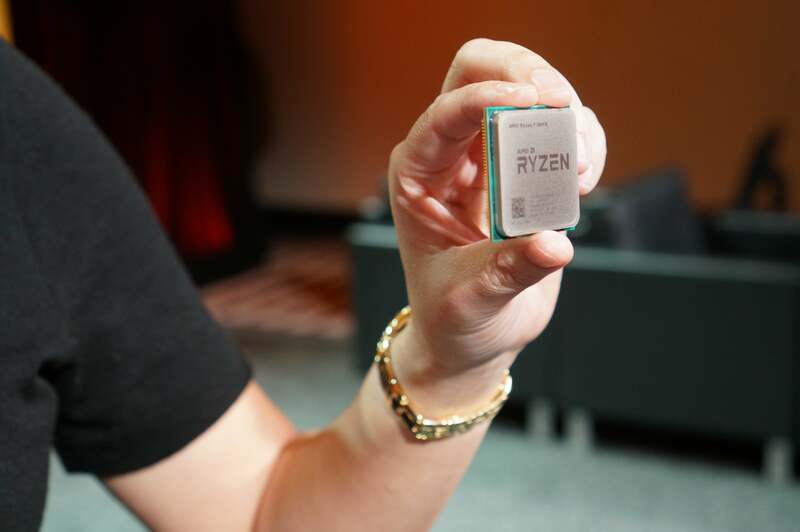 In AMD's demonstrations, an eight-core AMD Ryzen 7 1700X matched Intel’s eight-core Core i7-6900K. The kicker is just how much that Ryzen 7 1700X costs: $399 vs. Intel’s $1,089 Core i7-6900K. Mic drop. AMD's Ryzen 7 lineup compared to Intel's CPUs. The Ryzen 7 1700X isn’t even AMD’s fastest CPU. That’s the Ryzen 7 1800X, which the company showed outscoring Intel’s eight-core CPU with a CineBench score of 1,601. In Handbrake tests Ryzen outpaced Intel’s chips and ran slightly faster in gaming. 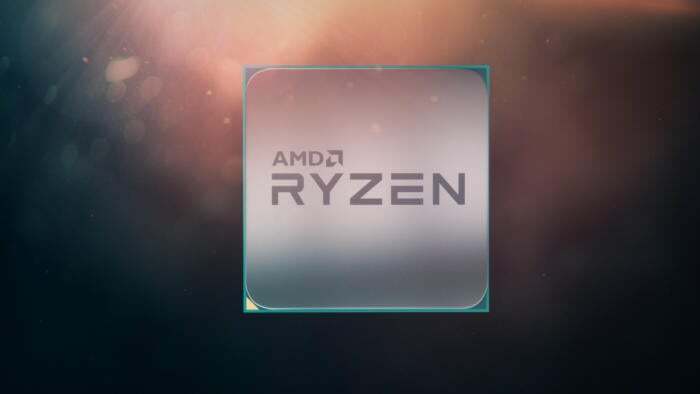 Add the two latest demonstrations to the previous Blender tests, and all evidence indicates Ryzen will disrupt Intel’s game—at least on multi-threaded tests. We recently updated our own benchmarks on an Intel Core i7-6900K, Core i7-7700K and an older AMD FX-8370 chip. Here’s how the numbers from the three Ryzen CPUs compare in CineBench to our own numbers. You should also peep at the price, which we’ve included with the CPUs description. AMD’s Ryzen matches or outperforms Intel’s best at multi-threaded tests for far less. 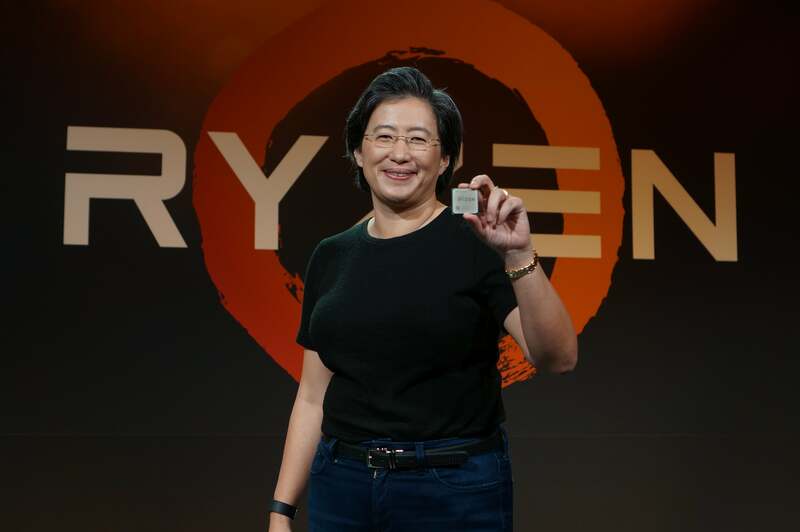 “I can say today that the Ryzen 7 1800X is the fastest eight-core desktop processor in the market,” AMD’s CEO Lisa Su said following the latest demonstrations. AMD CEO Lisa Su shows off the company’s newest Ryzen CPU, which promises to be as fast as Intel’s best for half the price. 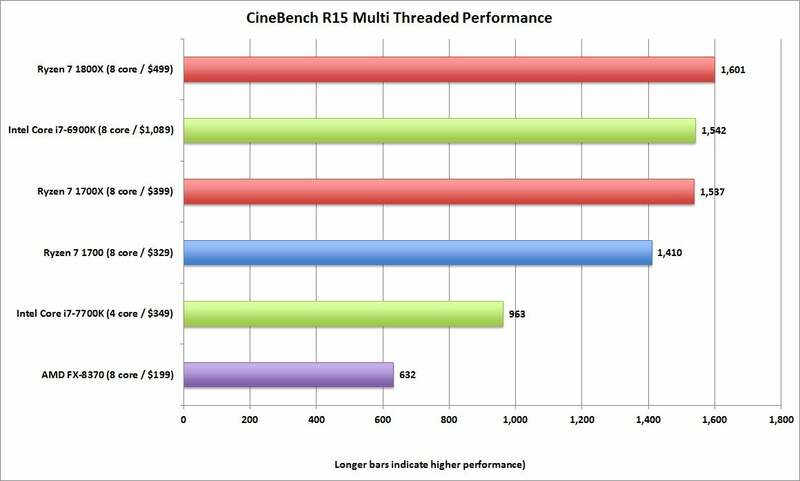 Cinebench carries significance as a benchmark because it's long been considered an Intel-friendly test. In 2009, the FTC said CineBench used Intel compiler optimizations that hobbled competing CPUs on programs that were created with it. The FTC said of Cinebench: “In truth and in fact, the benchmark did not reliably measure the speed of digital content creation.” Intel settled the FTC suit in 2010. AMD’s CineBench R15 tests are noteworthy because the FTC once called the benchmark unfair to AMD. Maxon says the Intel compiler is simply faster—for both companies' CPUs. ”Comparing the speed Intel or AMD CPUs achieve with code created by the Microsoft compiler, the Intel compiler not only achieves higher absolute speed on those CPUs, but AMD CPUs actually show a larger relative gain than Intel CPUs." Maxon declined to say what exactly the changes were with the new version, but the spokeswoman did say performance is comparable. Interestingly, demonstrations by AMD used a slightly older version of CineBench, which would not contain the fixes in the program. AMD’s Ryzen CPU will feature etching with the logo on it. While the latest performance demonstration is promising, one snag could make Intel fans cry foul: AMD configured the two quad-core Intel CPUs in dual-channel mode. Intel’s Core i7-6900K and Core i7-6800K both feature quad-channel memory support, which would require four memory modules. AMD’s configurations, however, featured both Intel CPUs configured in dual-channel mode with two pieces of RAM. My own testing of quad-channel vs. dual-channel indicates it probably made no difference on the two tests AMD showed. Still, it would probably make Intel fans feel better if the Broadwell-E CPUs had been configured to present their best performance. Correction: The clock speeds of the Ryzen models were transposed in our original chart. PCWorld regrets the error.